SmartFuel is a free iPhone app by Iridium Development. Their promise is to provide an app that allows users to locate the cheapest gas stations along their route. 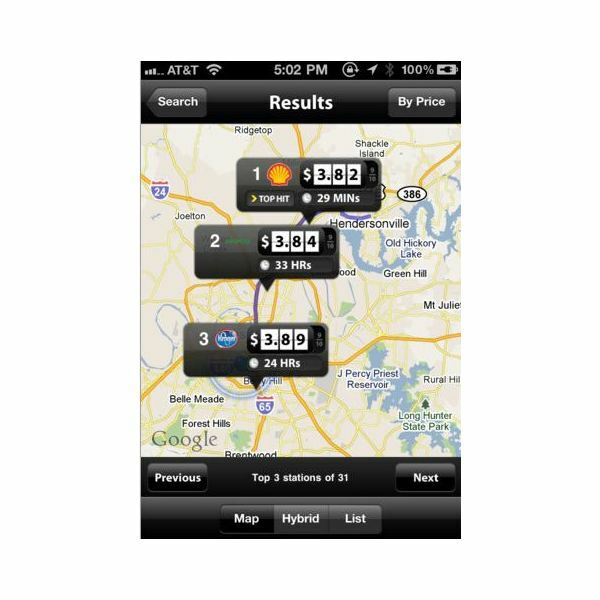 SmartFuel uses your iPhone's GPS system to locate nearby gas stations up to 100 miles along your route. This app accurately accesses over 130,000 stations nationwide and then will calculate how much you'll save. This all sounds great, but how accurate is it and how well does it function? Upon launching the app you'll first notice a sleek and simple, polished looking interface. For those of you who are in a hurry all you have to do is open the app and tap the find near me button and you will be able to decide which gas station has the cheapest gas. It's really that simple. Now let's look at the details of this app. The app is broken up into four catergories: Find on Route, Find Nearby, Favorite and My SmartFuel. To get started you type in your destination and pick your fuel type. Then the app will show you three gas stations at a time to choose from (this goes for the find nearby category as well). Once you decide on the gas station it will display the safety, cleanliness, price of gas, how much you save and it will give you directions to the station. Users may then record their purchase by tapping a large blue button which will then take you to the "My SmartFuel" category. In this category users will find their total savings and account information. 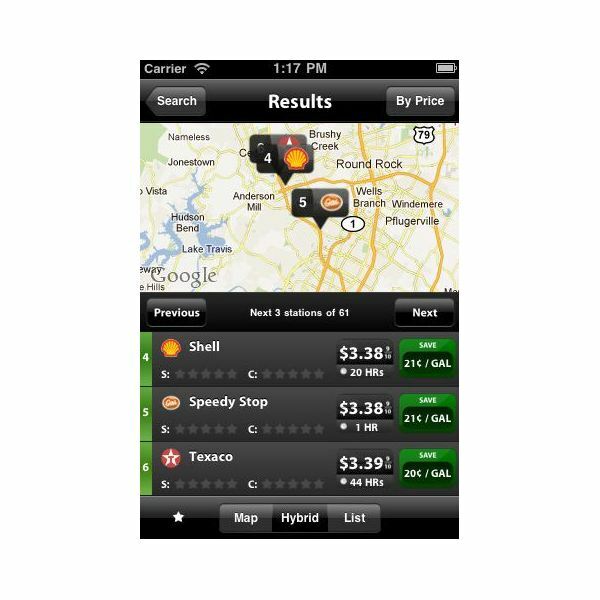 There are numerous similar apps such as, Gas Station Finder and Find a Gas Station, but what truly makes the Smartfuel app unique is that it searches for the cleanest and safest gas stations in your surrounding area. Users can rate, review and comment on the safety and cleanliness of the station. This is quite a great feature to have. As long as users take advantage of it and actually rate and review the stations then everyone will gain a lot of information from this system. SmartFuel's functionality is excellent and it's rather accurate as well. To test the accuracy I went to all three of the gas stations they listed and the prices were accurate at all three stations. Who wouldn't want an app that told you where you can go to save money on gas? It's genius. The only thing about this app that annoyed me was the fact that it's only free for a month. When I download a "free" app I expect it to stay free. I understand that they want you to test it out, and that's a great idea. But at least display somewhere in big bold letters that if you want to continue to use the app past 30 days you will be billed through your iTunes account. In addition to that there is a subscription fee required after the free trial expires. Understandably the SmartFuel app was once a paid app and they are now offering users a free trial to test drive the app. But I think this may make users pause before deciding this is the app they want to go with. Another function I wish it had is to give me information on the bathrooms and amenities of the gas station. One of my favorite features of this app is that it tells you about the cleanliness and the safety of the location. If you are going to provide this information then why not add information about the amenities as well? If you plan a lot of road trips or have a company car and you're always on the road then I think this app is worth the $2.99 a year. To fill your gas tank every week is not cheap. In the long run it will be worth the money to save you money. 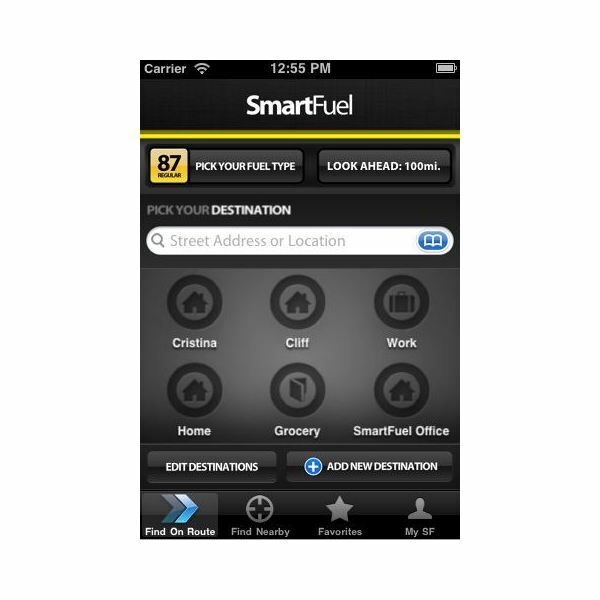 The bottom line is SmartFuel is a fairly comprehensive, feature-packed app that is extremely accurate. Not only will it help drivers save money on gas but it will keep them in a safe environment as well. If you travel a lot it's definitely worth the download. The only thing that might hinder people from downloading this app is that you need to subscribe to the service, which for the budget price of less than 30 cents a month is definitely worth it. Have you used the SmartFuel app? Tell us what you think in the comment section below. We would love to here from you.